During the heady years of contouring, I pretty much forgot about blusher. It was all about chiselling those cheekbones with matte bronzing powders. But recently, I have felt myself craving the complexion-boosting powers of a good blusher. 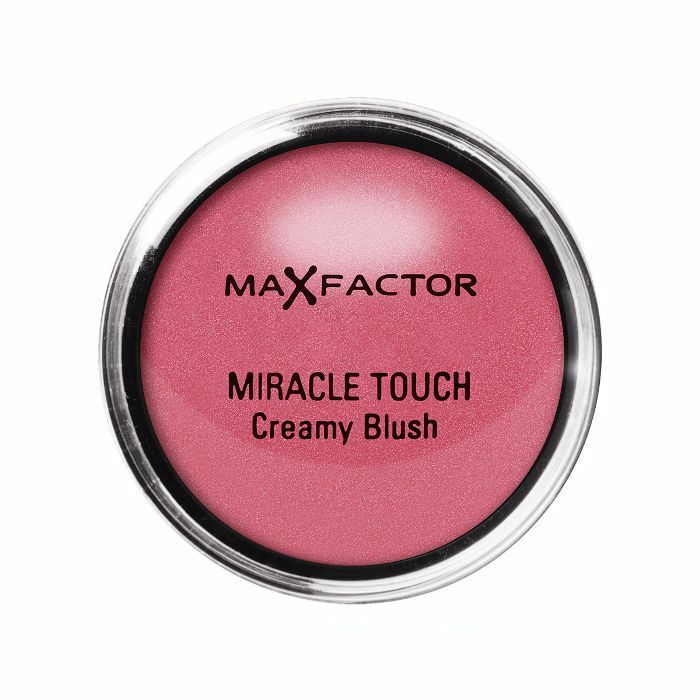 And when it comes to checking colour, I always come back to Max Factor Miracle Touch Creamy Blush (£7). This creamy blush is a small but mighty miracle worker that everyone should have in their makeup bag. You know, for those days when your complexion is a little lacklustre and you need a quick fix to inject some life back into it. So why do I rave about this one in particular? For starters, it’s pretty darn affordable and comes in four shades to suit every skin tone. On my light complexion, I am usually drawn to a pink or peach hues—in this case, I always choose the 14 Soft Pink shade—which I blend onto the apples of my cheeks. The key with blush is to tread lightly. I apply a dab of this cream to the centre of each cheek (smile and you’ll find it) before using my fingers to blend up and out so it lifts the face. The colour itself isn’t too pigmented that you end up resembling a doll, nor is it too wishy-washy that it doesn’t make a difference. And while you can use a brush to apply it, I find fingers work just as well. When it comes to the packaging, the screw top is a little fiddly if you’re doing your makeup on the go. A flip top with a mirror in the lid would be preferable, but then for £7, I’m not really complaining. If you haven’t tried Max Factor’s cream blush yet, I urge you to. A dappling of this blusher will perk up even the dullest (read: hungover/ overworked/stressed out) complexions with a radiant, dewy flush.